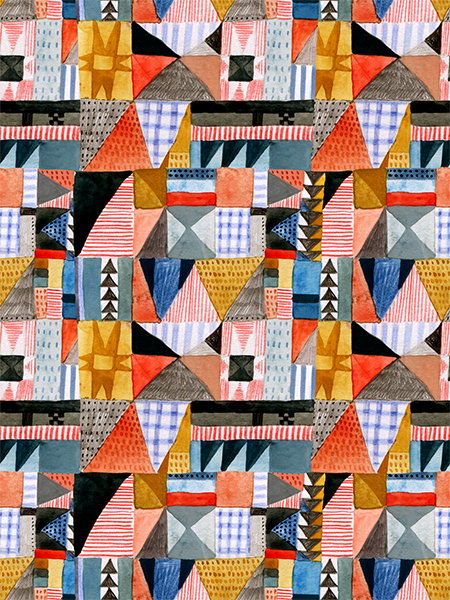 I recently took Elizabeth Olwen's "Pattern Design: Bring Your Artwork to Life on Products" class on Skillshare. It's my first Skillshare class and I'm definitely hooked! Anyhow, I chose for my project to design a range of kitchen goods -- here's how it all turned out. A hat tip to the fictitious island of St. Honoré (because I just finished reading A Caribbean Mystery). Urns and ferns. Say that five times fast.